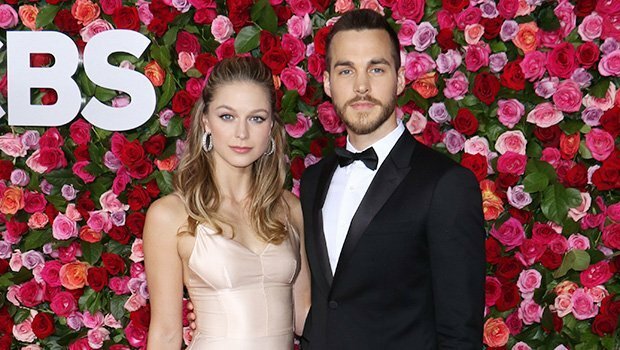 Congratulations are in order for Chris Wood & Melissa Benoist! The ‘Supergirl’ co-stars are officially engaged, & we’re sharing 5 things to know about Chris here. Cheers to the happy couple! Chris Wood, 30, proposed to his Supergirl co-star, Melissa Benoist, 30, on Sunday, February 10, and the photo of the moment is heart-melting. Melissa took to Instagram to flash her new rock, revealing that she said “yes” to her beau when he popped the question. “yes yes yes it will always be yes♥️” she wrote, alongside a photo of them cozying up in front of a fireplace. As the stars two prepare for their wedding, here’s five fast facts you should know about Chris! 1. You’ve probably seen at least one of his TV shows. Chris has acted in a number of televisions series including The Carrie Diaries, The Vampire Diaries, and Containment. He made his professional acting career debut in 2013 when he played Justin in the television film Browsers. 2. He went to college before becoming an actor full-time. Chris attended Elon University in Elon, North Carolina. 3. He got his start in theater. After graduation, he starred in “Damn Yankees” at Papermill Playhouse, and later starred in the National Tour of “Spring Awakening” in the role of Melchior. 4. He and his fianceé Melissa were first romantically linked in 2017. The pair first confirmed their romance when they were spotted in Cancun, Mexico, locking lips on the beach. 5. He’s a big proponent of mental health awareness. In October 2017, he launched his website “I Don’t Mind” that works to put a stop to the stigma of mental illness. His involvement for the cause comes from a personal place. Chris lost his father as a result of an untreated mental illness,” according to Elite Daily. ‘Grown-ish’ Gives Christmas Gift of New Season 2 Sneak Peek! ‘Lords of Chaos’ Gets Brand-New Poster Ahead of Release Date! Previous Taylor Swift Skips The Grammys & Steps Out With Boyfriend Joe Alwyn At BAFTAs After-Party!